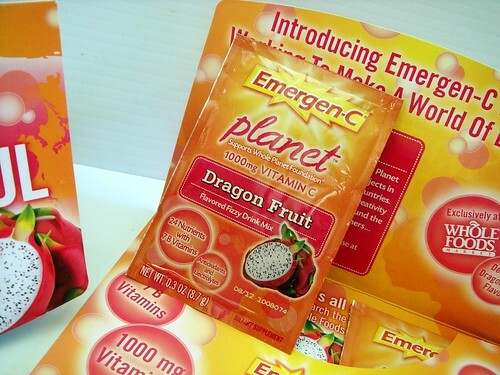 I like to eat Emergen-C plain. I open it up, pour some on my tongue, let it foam and make crinkley noises, swallow, and repeat. I picked up the habit when I was a kid. It tastes too thin when I add water. Jogger ~ Thank you, and edited. Rose ~ Ooh, I wonder what Emergen-C tastes like on ice cream. 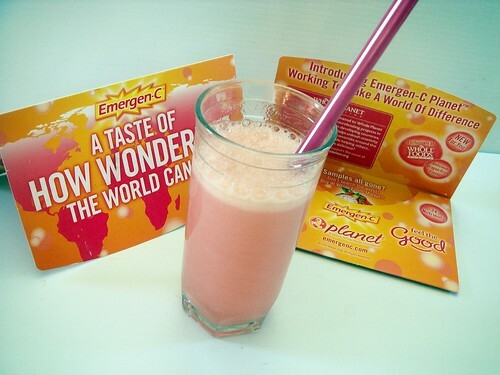 I never thought of using Emergen-C pre or post workout. I usually just use it before a big race when I start to get paranoid that I'm sick. 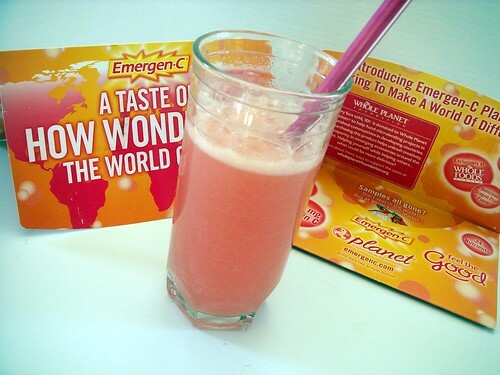 Ooh I totally love Emergen-C! Whenever I'm starting to feel under the weather, I make some and feel better quickly! And um, if you drink a big glass before drinking a lot of alcohol, you'll feel much better in the morning :) The Dragon Fruit flavor sounds absolutely awesome! Jess ~ Definitely wouldn't hurt! Esther ~ Back at you! Emily ~ I say use it preemptively in an attempt to ward off sickness. I love love love this. A little pricey but wayyyy worth it. Helps with periods. I go from a blobby lazy slop to being somewhat perky and energetic.